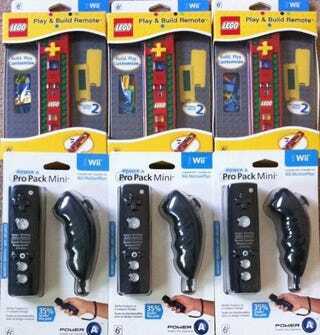 Remember that cool LEGO Play & Build Wii Remote we showed you earlier this month? We've got three of them to give away this weekend and we're throwing in three ProPack Mini Wii MotionPlus controllers as well. Both come from Power A and both go to three different winners.